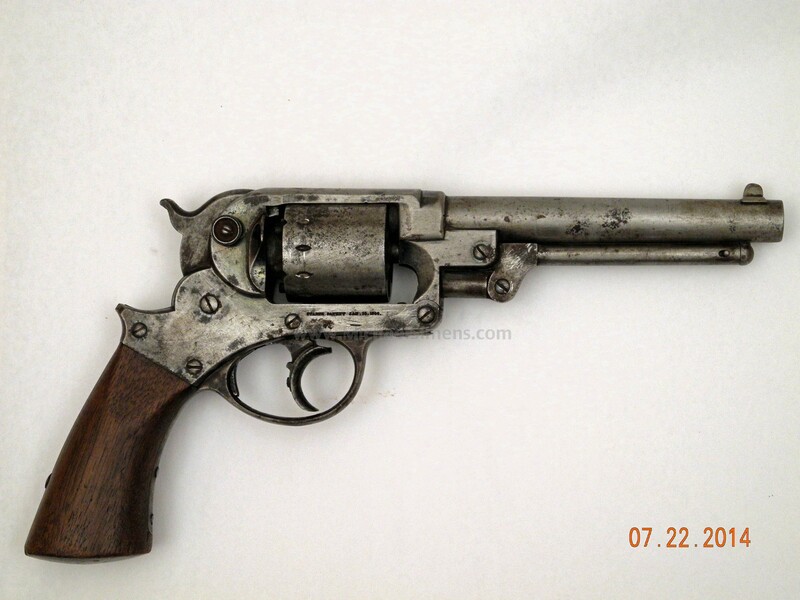 This is an extremely unusual Starr double action revolver and the only one like it that I have ever laid eyes on. On the other hand, I haven't owned as many as some dealers. 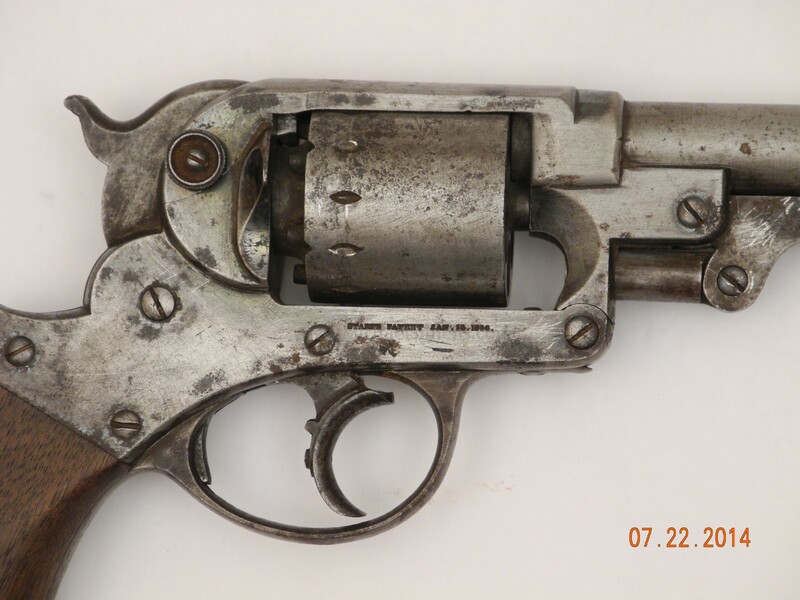 It appears to be a standard revolver but has none of the usual martial markings, nor cartouches. However at the bottom of the barrel juncture to the frame there is an absolutely authentic, deeply and crisply struck anchor. This marking is unquestionably original and obviously represents issue to the United States Navy, if you collect martial arms of the Civil War there's a pretty good chance you've never come across this one either. 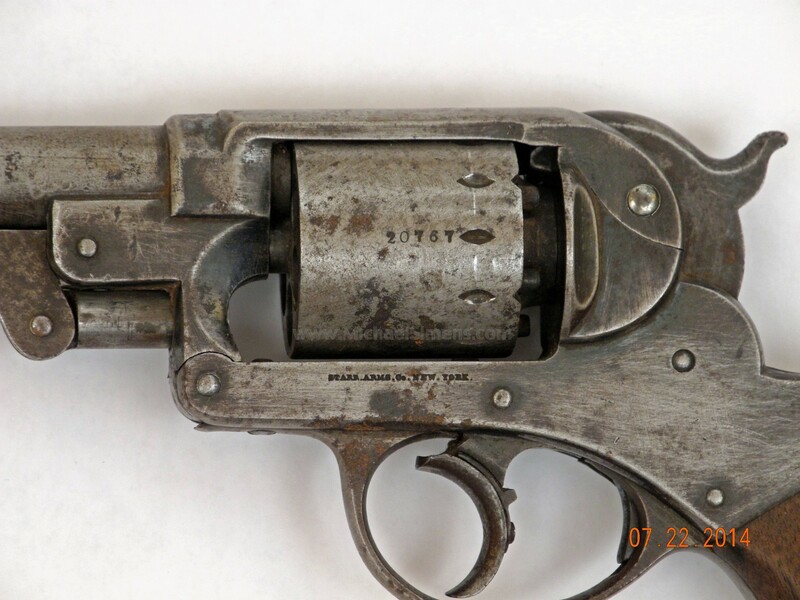 The gun is in generally very good condition with traces of bright original blue mixing with patina. The action functions perfectly, however three of the pulls take a Yeomans finger strength. 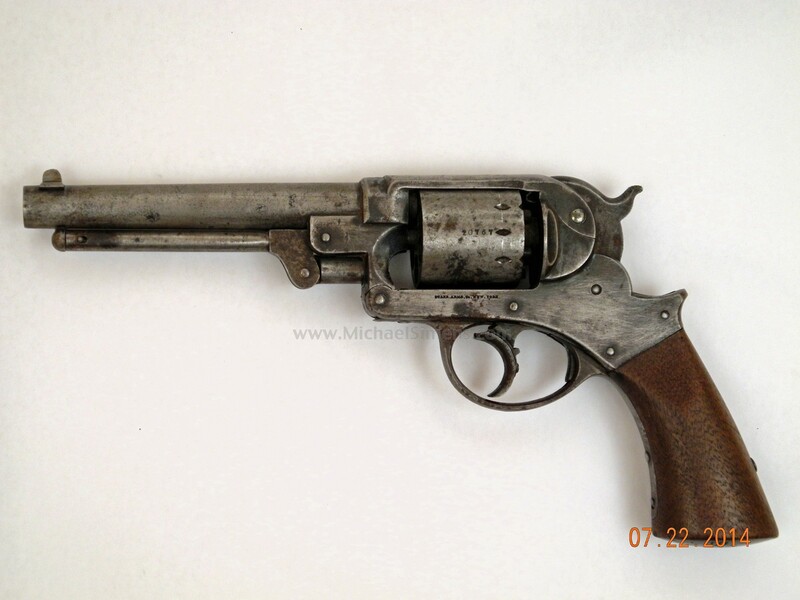 This is obviously a very rare 44 caliber gun issued to the United States Navy just prior to or during the Civil War.